We are releasing a book I wrote in the late 1990s, for a young girl (Age 13), who wanted to fly like a Dragon! I said that I would write an Enchantment, a Spell that would enable her to fly. Like many in her age group, she was struggling with some issues but was also very alert. I used my time, and this little Novella, to help focus her capabilities on how to succeed well in what she really could do – beginning with success at School! An Enchantment written for hawanja (You) by Rai of Oz (When) in Expectation that She shall Fly, in company with Went, Sandpiper (The Dancing One), Dog and Wen Tingturim Ember, who each have passed beyond the horizon of the Silver Sea. Their flight is . . . Through Space, beyond Galaxies, we travel Faster than Time ! 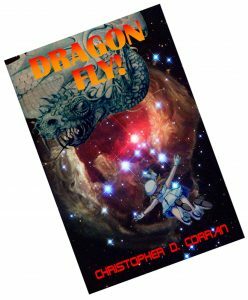 This entry was posted in Chris and tagged download, Dragon, eBook, ePub, flying, girl. Bookmark the permalink. One Response to DRAGON FLY ! I should test this modified SI Captcha Anti_spam Plugin.